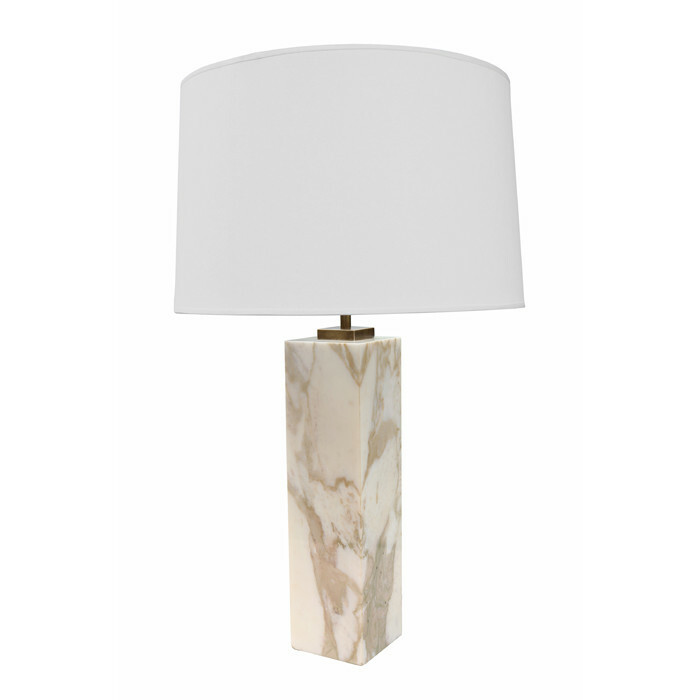 A Modernist marble table lamp Designed by T.H. Robsjohn-Gibbings for Hansen. Polished marble and patinated brass.